A short body tee makes this item appropriate in some situations where a longer tee is too bulky. The tee has a removable uncrimped 10" take-off that is attached with a band connection. 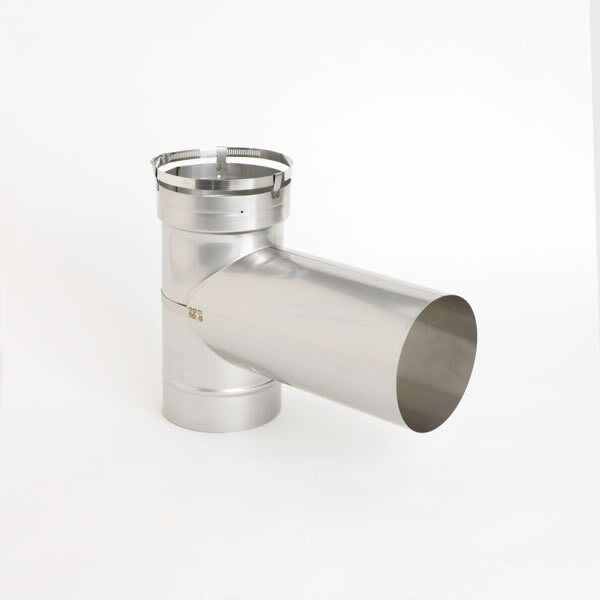 The part is designed to work with HomeSaver UltraPro 3" chimney liner pipe. The components of the UltraPro system fasten together with band connection clamps rather than rivets or screws so the construction of the chimney is quicker. This part is made with the same quality as all other HomeSaver products.